If you are looking for the perfect gift this Valentine's Day, head down to the 2nd level of the Waterfront Hotel and buy beautiful jewelry for your special someone. 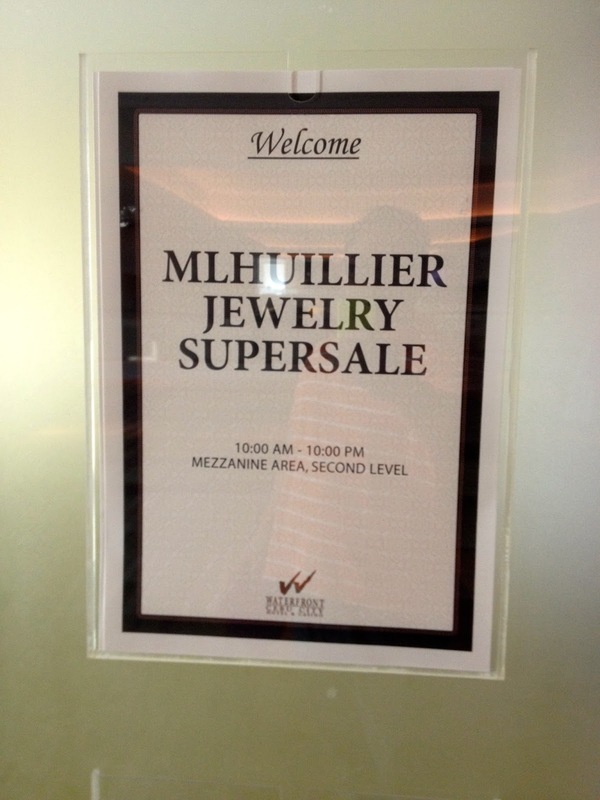 M. Lhullier is giving as much as 50% discount on selected jewelry until February 15, 2015. The sale is just for someone who is cramming to find a very special gift for someone they truly love. It is also a perfect time for women to ask literally for gold and diamonds on the season of love. 14K Gold could as low as 1,400 pesos per gram while the 18 Karat gold could go as low as 1,800 pesos pesos gram. M. Lhullier has a wide variety of jewelry in their collection. Find the perfect gift now ! Hurry because the Supersale ends tomorrow.